There had been a lot of confusion related to Aadhar linking deadlines with various schemes and services. Recently, the government issued a notification to extend the deadline for linking Aadhar number with several government services, to March 31, 2018. The Finance Ministry in a statement stated that the deadline of linking of Aadhar number is extended to the said date or 6 months from the commencement date of account based relationship by the client, whichever is later. The Supreme Court also extended the Aadhar mobile number linkage deadline to March 31, 2018, which was earlier only till 26 February 2018. Now welfare schemes and PAN card linking with Aadhar is also extended from 31 December, 2017 to Match 31, 2018. Aadhaar linking dates with insurance and other financial schemes are also extended to March 31, 2018. Now there is just a single deadline of 31 March, 2018 to link Aadhar with post office schemes, shares, your mutual funds, insurance policy and others. The Aadhar number linkage date is extended until the time that a new date is announced by the government. The extended deadline cover all financial-related submissions such as Aadhar PAN linking, bank account linking, and even brokerage firms, along those mentioned-above. Is the Deadline Extension For Everyone? The extension of Aadhar mutual fund linkage deadlines and that with other services and schemes applies to everyone, and not just for the ones who do not have an Aadhar card. I Do Not Have an Aadhar Card. Do I Make One For Me Immediately? There is no deadline for making an Aadhar Card. If you have not made one yet, you can do so as per convenience. However, if you do not have Aadhar Card yet, it is better to make yourself one the soonest, as this document is essential for many purposes. The Supreme Court will decide on the constitutional validity of linking Aadhar number with various schemes and services when the Constitutional Bench decides to take up this matter. Thus, there is no immediate hurry to make an Aadhar Card. 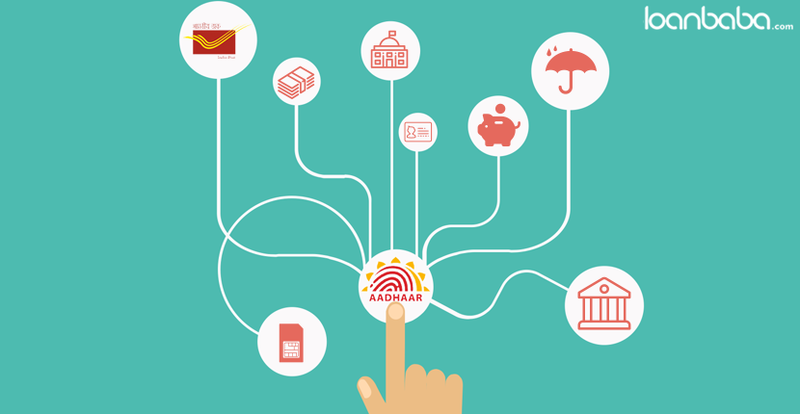 Read More: How to Secure Your Aadhar Card? I Do Not Have a PAN Card But Make Financial Transactions. What Do I Do? If you do not have a PAN Card, then you have to submit Form 60, which is declaration filed by those who do not have Permanent Account Number, but have entered into a specific financial transaction. Aadhar PAN Linkage deadline applies to this condition. I Have Linked My Mobile Number with Aadhar Number. Will I Still Get Aadhar Linking Messages From the Mobile Service Provider? As for continuous messages from mobile service provider to customers about linking mobile number with Aadhar number, those may not stop, even if you have already linked the number. If you have linked your mobile number already, and still receive request message from mobile service provider to link your number, then do not panic. Similarly, you may receive messages from banks about linking Aadhar with bank account, even after you have already done so. The petitioners in this case sought that there should be no coercive measures taken by the government agencies, until the Constitution Bench decides on the constitutionality of Aadhar number linking with government schemes, post office schemes, LIC, insurance policies, financial services, mobile numbers, mutual funds, shares etc. How Will the RERA Act, May 2017 Benefit Home Buyers?